€105 per person – includes one day wild food masterclass and a 2 course lunch (No bed and breakfast is included at this rate) Note: This special offer is for the first 50 viewers that mention Ireland AM at the time of booking. The Two Day Wild Foods Masterclass is €225 per person sharing – includes bed and breakfast and 2 day masterclass. Single room supplements may apply. 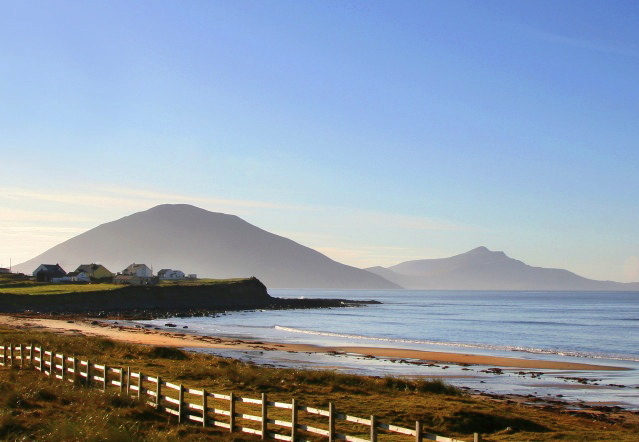 Clare Island Singles Activity Weekend 20 – 22 June – A weekend of adventure without the cheesy match-making. Singles of all levels of experience (including none) are welcome for all activities. Sunday morning will be very relaxed, with a stroll about the island after breakfast before departing by ferry at 1pm. €215 per person includes return ferry, two nights Bed & Breakfast in the comfortable and high quality Go Explore Hostel, dinner on Friday and Saturday night, lunch on Saturday, plus all activities. And of course a big congrats to Erris Beo who were nominated the Best Place in Ireland to go Wild by the Irish Times last week. To see all the beautiful places to visit go here.